Mary Anne Johnson is the New Business Manager at The Bulfinch Group. In this position, Mary Anne works with case managers on the processing of Life and Disability applications supervising the process from the point of submission to delivery and placement of each policy. 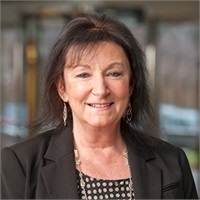 In addition, Mary Anne trains all new Bulfinch associates on the Underwriting process, providing a complete picture of the procedures needed to have new business efficiently underwritten and approved. Mary Anne resides in North Billerica with her husband Mark and three children, Cody, Stephanie and Conor.